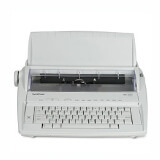 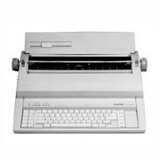 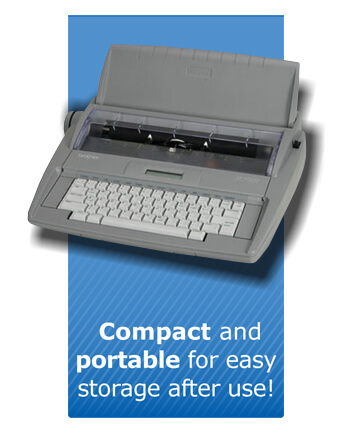 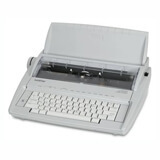 The SX-4000 is a mid-level portable daisywheel typewriter with a 16-character LCD display and a 70,000 word dictionary. 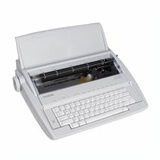 Its features include the Perfectype®professional touch keyboard, automatic "word-out®" and "line-out®" correction memory, automatic underling, bold printing, right margin flush and view mode. 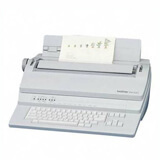 It has a variable 10/12/15 pitch typing selector and automatic paper insertion. 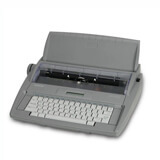 Unit Dimensions: 19.7" x 18.5" x 8"
Portable typewriters from the basic to memory versions. 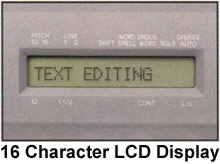 Perfect for a quick label or envelope to professional looking letters.